Published May 26, 2015 at 1600 × 900 in President Faust visit to Botswana 12. 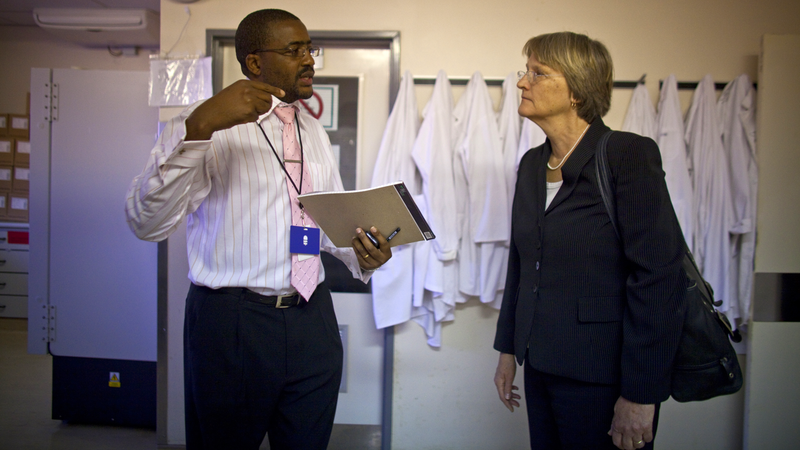 Laboratory manager Sikhulile Moyo gives Faust a quick tour of the Lab. Dedicated exclusively to HIV research and treatment, the Lab is designed to handle the high-volume testing necessary for large-scale HIV interventions.